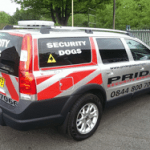 Pride GB Security Services has over 20 years of experience in the security industry. 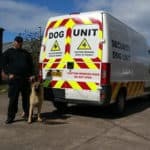 We specialise in providing static security officers, mobile patrols, key holding services, alarm response, and security dogs to ensure the security of retail parks, construction sites, factories, warehouses, and open storage in Solihull. 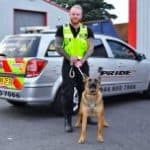 Pride GB provides K9 security services in Solihull. As one of the few security companies that is accredited to use security dogs, we truly raise the bar. Our expertise and NASDU qualification make our security dogs and handlers an extraordinarily effective deterrent against intruders. Protect your property with our highly skilled, licensed, and uniformed static security officers. Our security guard service is tailored to suit your needs and ensures only the highest standards of work to secure your premises. Our mobile security patrol service is an effective solution for those who do not require constant 24/7 security. Our professional, dedicated, and highly trained officers can patrol your premises when required to provide an effective deterrent for intruders. Pride GB operates an outstanding keyholding and alarm response service in accordance with British Standards. In the event of an alarm activation, we deploy a 24/7 rapid response unit in which our professional team will deal with any incidents as required to protect against intruders. Contact Pride GB today to learn more about our security services in Solihull and keep your property protected and secure.